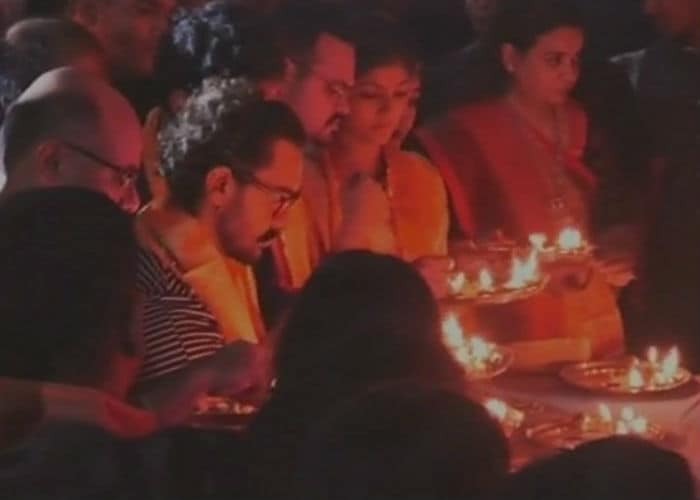 Actor Aamir Khan celebrated his first Garba in Vadodara, Gujarat on Sunday night. 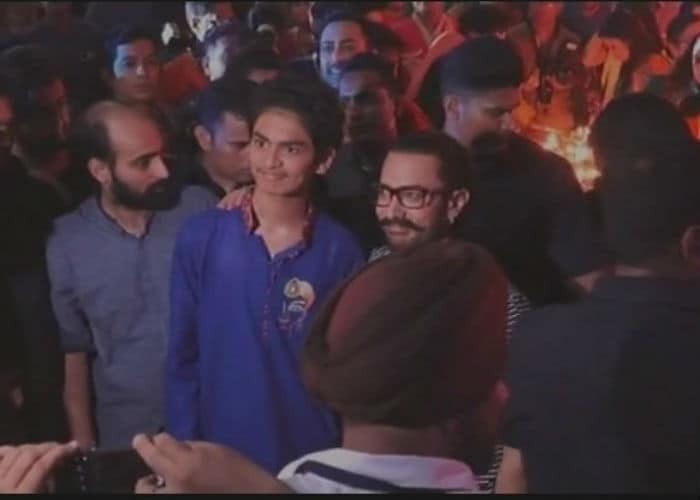 The 52-year-old actor attended the NavratriFestival in city where he promoted his upcoming film Secret Superstar. 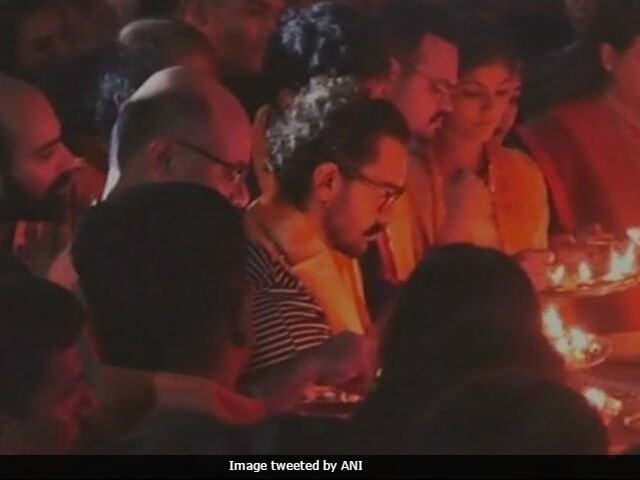 Aamir Khan was spotted performing the aarti on the fourth day of Navratri after which he posed for pictures with his fans. The Sarfarosh actor shared his excitement on Twitter by posting a short video in which his fans can be seen cheering for him in the background. "My 1st Garba in Vadodara! What an atmosphere! What a feeling! Thank you Vadodara," Aamir Khan tweeted. The ten-day Navratri festival began on September 21. Aamir Khan is currently busy filming Vijay Krishna Acharya's Thugs Of Hindostan, co-starring Amitabh Bachchan, Katrina Kaif and Fatima Sana Shaikh. Thugs Of Hindostan marks Aamir Khan's second collaboration with filmmaker Vijay Krishna Acharya after 2013 movie Dhoom 3. The film is scheduled to release in theatres on Diwali next year. Aamir Khan was last seen in 2016 blockbuster film Dangal, directed by Nitesh Tiwari. The film, which is based on wrestler Mahavir Singh Phogat's life, collected over Rs. 375 crore in India and reportedly has an overseas collection of over $200 million. Aamir Khan's Dangal released in Hong Kong on August 24 and has been ruling the box office in the country ever since. The film has become the highest grossing Indian movie in Hong Kong beating the actor's 2009 movie 3 Idiots, reported trade analyst Ramesh Bala. Aamir Khan will next be seen in Advait Chandan's Secret Superstar along with his Dangal co-star Zaira Wasim. In the film, he will portray the role of music director Shakti, who supports Zaira character's dreams of becoming a singer. Secret Superstar will release on October 19.